Pendant Commission. 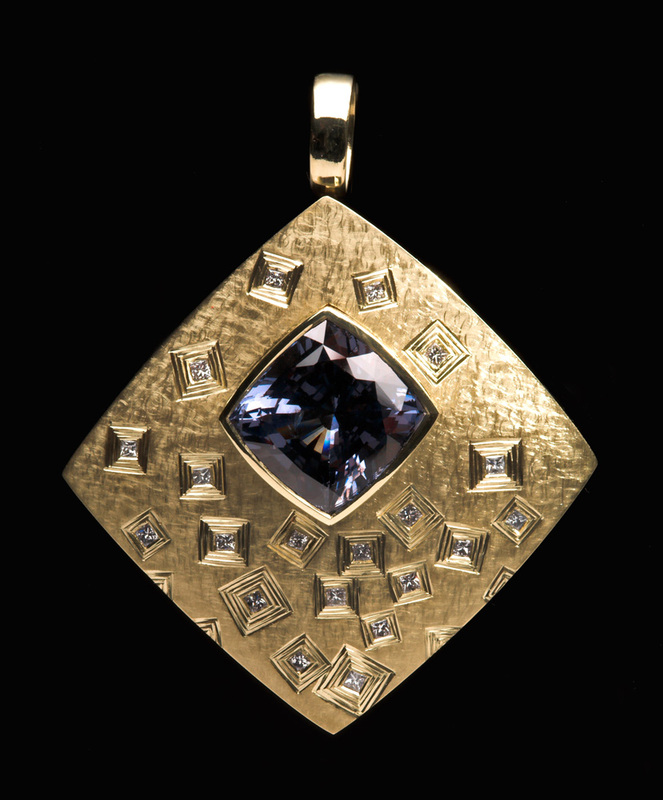 18ct green gold set with princess cut diamonds, main stone cushion cut charcoal / violet Spinel. Hand engraved. 4.0 cm wide x 4.8cm ht. Photo Simon Armitt.